Your patriotic projects can be a little more special with these 15 free patriotic fonts. Use them in your crafts, scrapbooks, home decor, table settings, or any project where you want to add an Americana font. I was researching for something I want to make and ran across all of these great options. 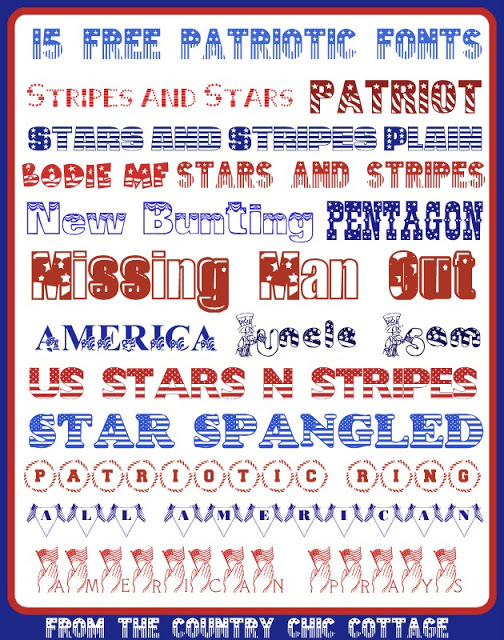 I didn’t know that this many patriotic fonts existed so I bet you didn’t either! I thought I would share here just in case you are working on some fun projects for America this weekend.